When not in the office or at the hospital, Dr. Patuwo enjoys spending time with friends, family, and 2 beloved dogs. She also enjoys reading, sewing, and exploring new restaurants. 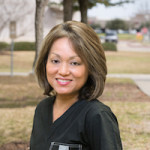 She is active in her local church and in the community of Sugar Land, participating in various local health fairs and events. Dr. Hillary Patuwo, MD, MBA, is a Houston native and graduated valedictorian from Michael E. DeBakey High School for Health Professions. 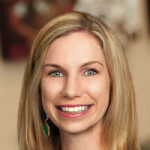 She earned her Bachelor of Arts degree from Rice University and her MD degree from Baylor College of Medicine through the joint BA/MD dual-degree program. 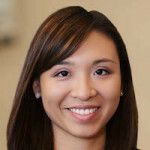 While in medical school, she obtained her MBA at Rice University’s Jones Graduate School of Business and interned at Houston Methodist Hospital under the VP of Operations. She completed her residency in Obstetrics & Gynecology at Houston Methodist Hospital and St. Joseph’s Medical Center. During her residency, she served as the Administrative and Academic Chief Resident of Obstetrics & Gynecology, as well as the Chief Resident in Patient Safety & Quality for the Graduate Medical Education department. She was also elected onto the Graduate Medical Education Committee and Housestaff Council and won the prestigious Dr. Benton Baker, III Leadership Award for two consecutive years. She joined Sugar Land Women’s Care in 2015. She is seeking to build a practice that provides individualized care to women of all ages. She enjoys providing prenatal care for both low and high-risk pregnancies and provides comprehensive gynecological care, including minimally invasive surgery, office procedures, and infertility and menopause management. She is also trained and certified to perform minimally invasive Da Vinci robotic surgery. She and her office staff strive to create a welcoming, comforting, healing environment and accept a variety of insurance plans.